To create a data list, register for a (free) FRED® account or sign in to your account. 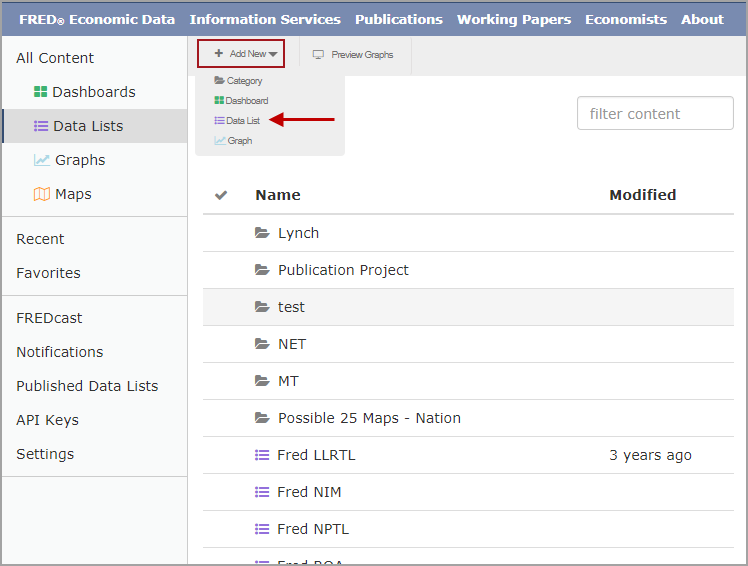 On your "My Content” page, click the “Add New” drop-down menu and click "Data Lists." In the pop-up box that appears, create a name for the new data list. To add data series to your data list, return to FRED (ALFRED) to select current (vintage) data series. See the next Help topic, "Add a series to a Data List" for directions. Posted in What can I do with FRED Data Lists?, What can I do with a FRED Account?